Acupuncture is used to treat illness by bringing a person’s body back into balance and optimum health, utilizing ancient scientific principles. Modern science is now being performed to help describe how this ancient technique actually functions within the body, and why it is so effective. How does traditional chinese acupuncture work? In traditional Chinese medicine, it is believed that illness is caused by imbalances in the basic energetic flow of life, known as qi or chi (chee). Qi flows through meridians in the body. These meridians and energy flow can be accessed through over 400 labelled acupuncture points. By inserting extremely fine needles into these points, acupuncture practitioners believe that your energy flow will rebalance. This rebalance of qi allows your body to heal naturally. 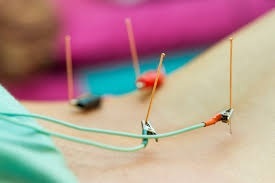 HOW IS CONTEMPORARY MEDICAL ACUPUNCTURE DIFFERENT from traditional chinese acupuncture? Contemporary Medical Acupuncture is a certification program taught at the McMaster University to already licensed health care professionals such as chiropractors, physiotherapists and medical doctors. These medical professionals use acupuncture as a tool to complement their regular treatment protocols, dealing mainly with pain related disorders. Contemporary Medical Acupuncture uses very thin needles inserted into specific points of the body to relieve pain and stimulate healing. These points can be a combination of traditional Chinese acupuncture points along with anatomical locations that target specific muscles or nerve pathways. These inserted needles may be stimulated by hand or with a low frequency electricity (which feels like a heart pulsing). The therapeutic purpose may be to stop pain, improve function that may be lost due to injury, or even reset learned pain pathways in the brain, such as with chronic pain conditions like fibromyalgia. During acupuncture, endorphins that are part of your body’s natural pain-control system may be released into your central nervous system, your brain and spinal cord. This reduces pain much like taking a pain medication. Acupuncture therapy typically involves a series of weekly or biweekly visits. Each visit includes an examination and assessment of your current condition, the insertion of needles, followed up with a discussion about possible homework such as, exercises or other helpful tips to ensure optimal recovery. An acupuncture visit generally lasts about 20- 30 minutes. During an acupuncture treatment, sterilized individually wrapped stainless steel needles are used only once and then discarded. When the needle is inserted, sometimes you may feel a brief pinching sensation, but generally the treatment is painless. It can be common to feel a deep aching sensation when the needle is inserted in the correct spot. It can also help with several internal disorders. If you would like further information on how Dr. Tammy Bowler may be able to help you through the use of Contemporary Medical Acupuncture please visit her website at www.backinbalancemuskoka.ca or call her office (705) 571-2250.